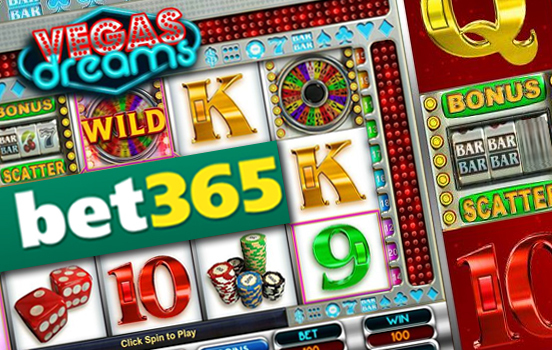 Vegas Dreams is now live and featured on Bet365. Vegas Dreams is classic video slot with a 'virtual slot machine' scatter system. The slot scatter icon has reels within the reels. The scatter not only gives the player a cash prize but may also trigger a multitude of spins depending on the amount of matching symbols in the scatter icon. The free spin feature whisks the player away to a nightlife bonus where all wins are tripled and in some cases multiplied six times when bonus wilds appear!